MIIS professor and Spanish conference interpreter Barry Slaughter Olson is one of the leaders in interpretation technology. In his AIIC article, Interpreting 2.0, he discusses three major types of technology that interpreters need to know about. This is also called “Machine Interpreting.” It’s what you’ve heard about so much in the news with NTT Docomo and Skype coming out with their own “simultaneous translation” technology, or the multitude of exclusive machines that claim they will help you pick up girls by speaking their language. As professional interpreters, we know that these technologies are far from replacing us in the real world. Professor Olson did a video testing one from Spanish to English. Even if you don’t speak Spanish, the video demonstrates the kind of errors a device like this makes by comparing a professional interpreter’s output with that of the device in English. So, for the sake of all our sanity, we won’t even give these technologies the time of day in this article. These are often referred to as “Remote Interpreting Platforms.” Services such as Kudo, Headvox, and Interprefy allow the interpreters to work remotely, delivering their expert skills as they would in a booth, but from the comfort of their own home or office. It allows the off-shift interpreter to collaborate with the on-shift one through chat and other features such as shift-change signals. So, in theory, you could be working in Osaka, with a partner in Chicago, for a conference in Sidney! Alternatively, these services can be used when a conference venue is not big enough to have booths. Using a remote interpreting platform, interpreters could work from another room in the conference venue. The thing that I feel interpreters should be spending their energy adopting is this category. These are apps, software, and hardware that will help an interpreter in their job. They don’t replace an interpreter or change their normal working environment, they simply help us. So, let’s get into that in a little more detail. Imagine this: you are getting ready to interpret at a conference tomorrow. With less than 24 hours to go, the organizer sends you 100 pages of documents to help you prepare. Obviously, you can’t read them in detail, so you will need to find a shortcut. That is where Term Extraction comes in. It is a software that extracts words from a text based on their complexity and the frequency with which they occur in a document. 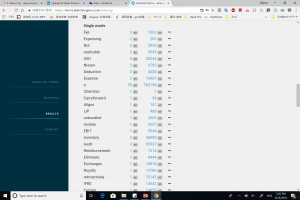 There are many websites like this available, but I prefer to use Sketch Engine. You can upload the document to Sketch Engine and set the parameters for the kind of words you want it to find. Rare or common words? Multiple words that occur together or single words? Proper names, acronyms, or just nouns? How many repetitions before it shows up on the list? 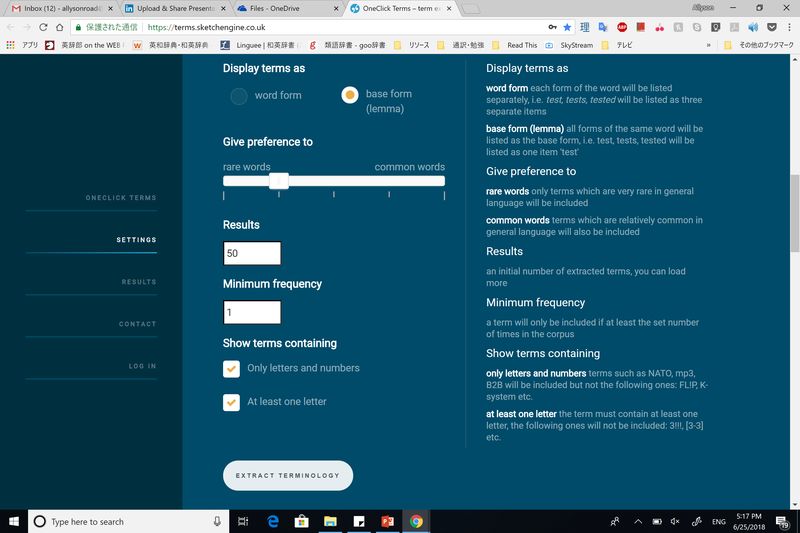 Once you input those settings, it will look through the entire document and provide you with all the applicable words in a CSV file. 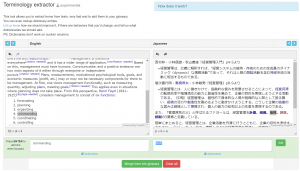 From there, you can build your glossary as you normally would. Let’s take a look. Next, let’s say you have a little more time to prepare. You have your presentation file, background files in PDF format, and you are referencing some websites about the client. You want to link all of that information together so that you are able to find it while you are interpreting. That is where LiquidText comes in. It is an app that allows you to take notes on one file and link them to other notes on another file. So, if you find a word and the explanation is on a different document, you can make a link between the two. 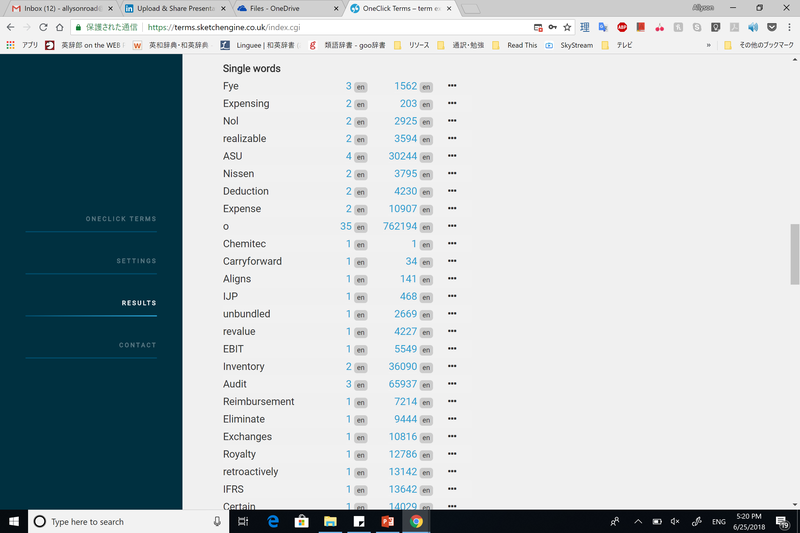 When you are building a glossary, you can build it in excel, but it is not going to be as easy to use as a platform that is designed for in-booth use. Let me introduce you to one of those platforms. Interpreter’s Help is by far the best I have found. Let’s look at this through pictures. 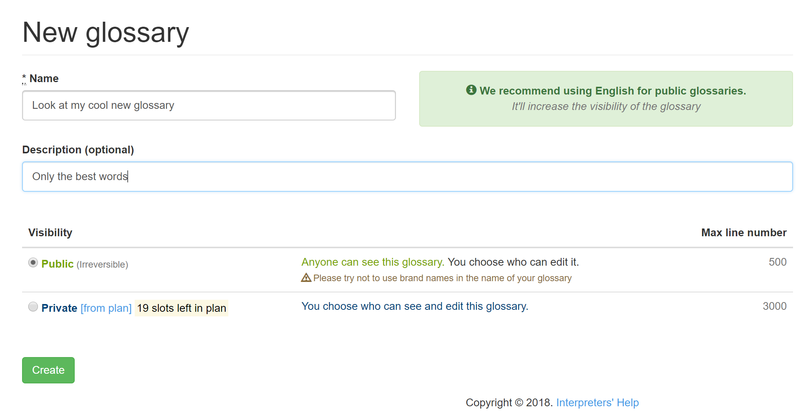 When you set up a glossary, you can set it as private or public. A public glossary will be open for anyone to see. 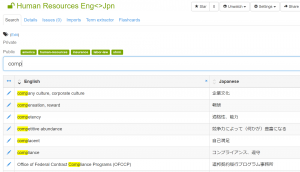 You can upload an existing excel file or build a glossary from scratch within Interpreter’s Help. You can paste in text and highlight words to add to your glossary from a document. 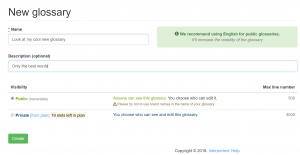 You can study terms from the glossary using the flashcard program. 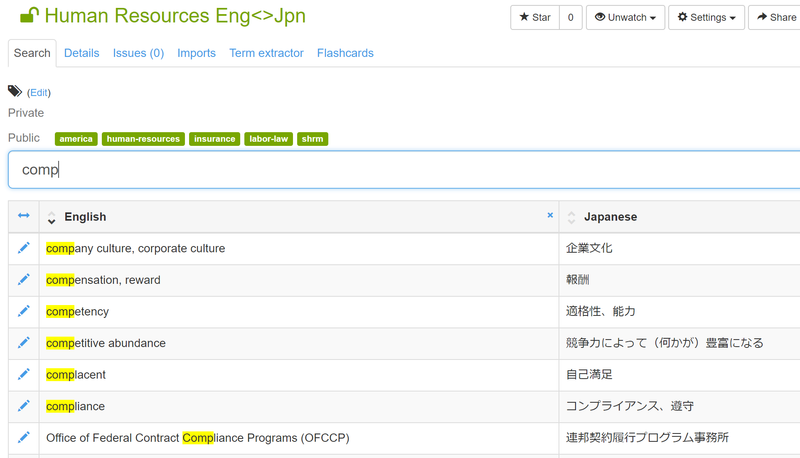 You can search for words easily from the search bar and come up with related terms. The advances in speech-to-text can be seen in applications like Siri and Okay Google, but did you know they can also help when you are interpreting? Through using programs like Dragon NaturallySpeaking, Apple’s Dictate function, or the Dictation extension for Chrome, you can get a live transcript of your meeting and use it as back up notes or to sight translate if you prefer. While these programs are never 100% accurate, they are getting better everyday. I use a Microsoft Surface Pro 4 for all of my consecutive and simultaneous notetaking. I usually just open OneNote, which is part of the Microsoft Office suite. 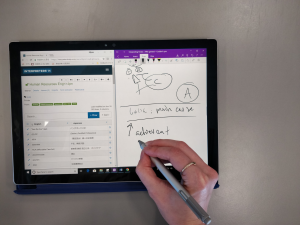 If you would like to do this with an iPad, a similar set up is possible with OneNote for iPad or another notetaking app such as Bamboo Paper or Notability. The important thing to remember if you want to take notes on a tablet is the pen! An Apple Pencil or a Microsoft Surface Stylus are both Bluetooth connected to your device. So, the device can tell the difference between your hand and the pen tip, and it doesn’t confuse one for the other. However, if you have a simple capacitive stylus, it will not be accurate enough to take notes while interpreting. Here’s a demo of consecutive on an iPad. Consec-simo: A new mode through the power of technology! The basic concept of the Consec-simo (also called Sim Consec) method is that you record audio while you are taking consecutive notes, so that you can listen back to the recording a second time as you render your interpretation; effectively performing simultaneous interpreting, consecutively. This has been possible for years through the use of IC recorders. However, for interpreters who want to use this method regularly, I highly recommend the Livescribe Echo pen. This pen will record audio in conjunction with the notes you take. When you touch a spot on your notebook, it will skip to that place on the recording. Check it out here. Is your head spinning? Well, take a deep breath. You don’t have to adopt all of these right away. Try adding one piece of technology to your regular routine and see how it goes. 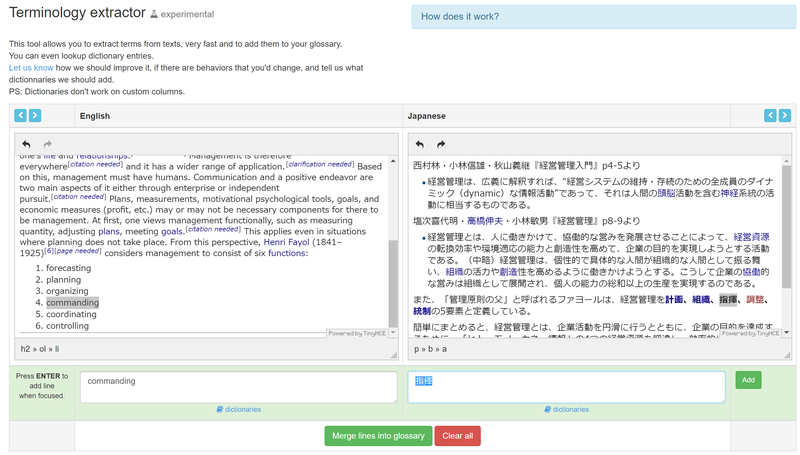 I really recommend starting with Interpreter’s Help for glossary management, sharing, and memorization. Once you get the hang of using one technology, try another one. Before I go, one word of caution! If you are going to try something like digital notetaking, speech-to-text, or Consec-simo, I strongly recommend that you practice it at home multiple times before ever taking it on the job. New technology can be distracting the first time you use it. You really have to get used to it. Also, you have to trust that it will work every time.